47th day of the year. There were then 318 days left in 2019.
on the 7th week of 2019 (using US standard week number calculation). 58th day of Winter. There were 32 days left till Spring. 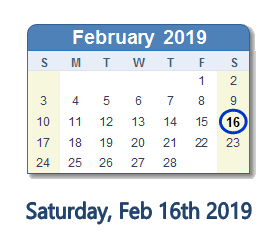 What happened on February 16th 2019?